Attention Pokémon Go players! Kennywood will be holding events on Wednesday, July 27th and Thursday, July 28th just for you! The park is a prime Pokémon Go playing location for Pittsburghers, containing 20 PokéStops and three gyms. The park will have lures placed on PokéStops throughout the day, with all 20 stops having lures active for a Lure Happy Hour between 4:00 and 6:00 pm! In addition, those players holding spots in the park’s three gyms at 6:00 will be awarded special prize such as V.I.P passes for a ride! The teams holding the gyms at that time will also win vouchers for 50% off a cold treat at the Pagoda stand. If you love Kennywood and love playing Pokémon Go, definitely stop by and get in on the fun! Links to the Facebook event for each day are below. 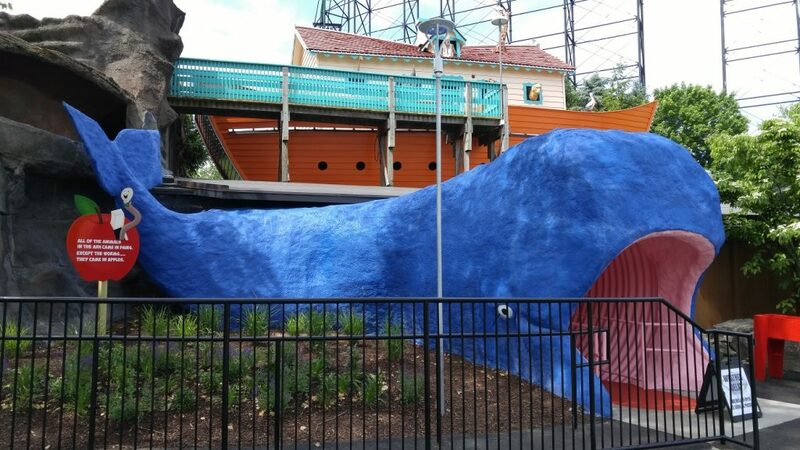 This morning, Kennywood Park held their Grand Re-Opening ceremony for Noah’s Ark! After an extensive refurbishment project over the winter months, the Ark has returned to its classic fun-house feel and the infamous whale’s mouth entrance has returned! Appropriately, Kennywood invited two representatives from “all things that make Pittsburgh Pittsburgh” to the ceremony to board the Ark two-by-two… Pittsburgh style! Representatives from various area organizations were in attendance, including the Pirates, Penguins, Ballet Theatre, Carnegie Museum of Natural History, National Aviary, Eat’n Park, Rick Sebak, the mayors of Duquesne and Pittsburgh, and more! Most importantly, Noah himself was a part of the ceremony! 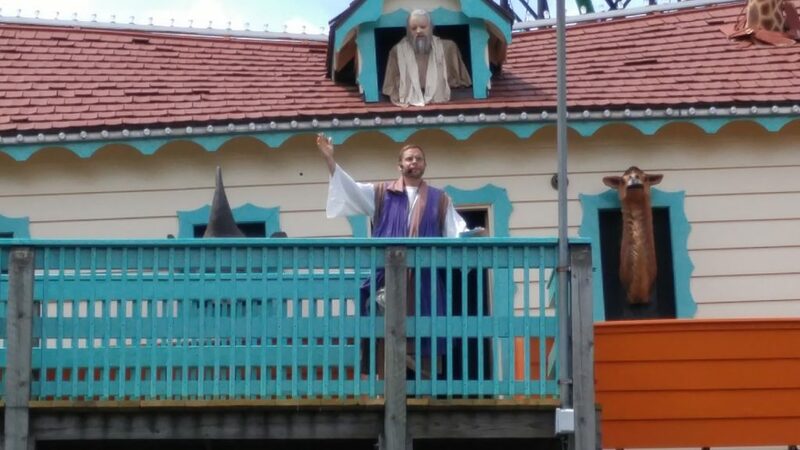 Noah was played by none other than Pittsburgh Dad, telling a very comical tale of how the Ark came to be. Be sure to check out the video below for his hilarious speech, as well as the full Grand Re-Opening ceremony! ACE Documentary “The Legacy of Arrow Development” at Kennywood Saturday, April 16th! Kennywood is offering an exciting opportunity to see The Legacy of Arrow Development, an American Coaster Enthusiasts documentary on the big screen in the park’s 4-D Theater! There will be three screenings at 11:00, 1:00 and 3:00 on Saturday, April 16th. Click here to check out Kennywood’s website for FREE tickets to this event! Seating is limited, so don’t miss this unique chance! As per tradition, we return with our 2016 iteration of our off-season photo tour! This year, we take a look at the Noah’s Ark project, the Potato Patch remodel, the new Volcano, and other things around the park. Click the link to jump to our Facebook page and check it out. Special thanks to Nick Paradise for making this visit possible! Click here to join the discussion on our forums!